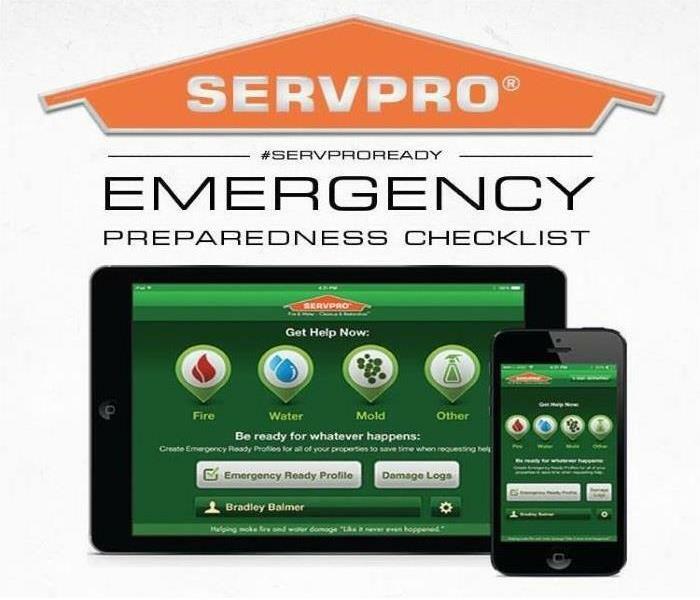 SERVPRO's ERP - Emergency Ready Profile - is the perfect tool to ensure you're always ready for whatever happens. This one-stop document contains all of the pertinent information you and your employees need in the event of an emergency. 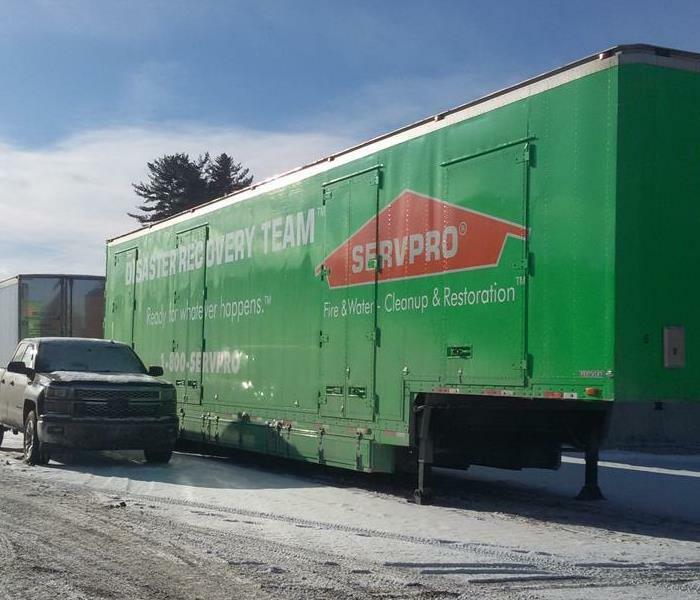 When disaster struck New York and New Jersey in 2011, the SERVPRO of Bangor/Ellsworth team answered the call and was available to help. 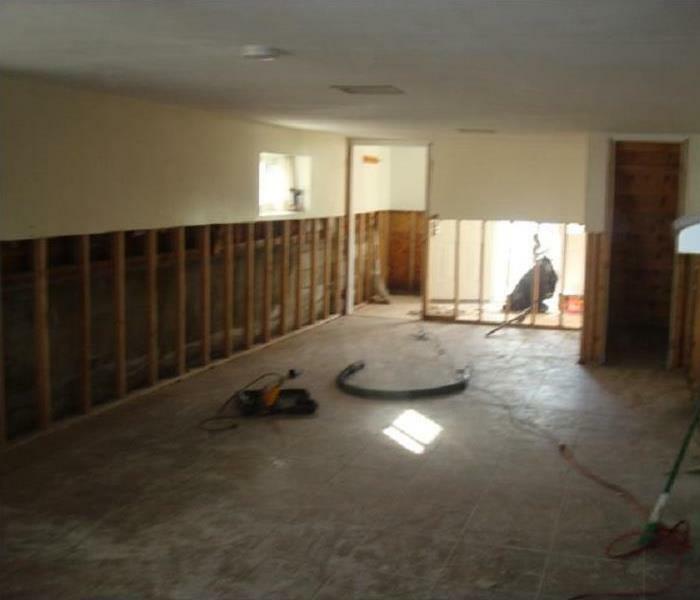 Post-hurricane damage can be quite extensive, especially when basements are involved. 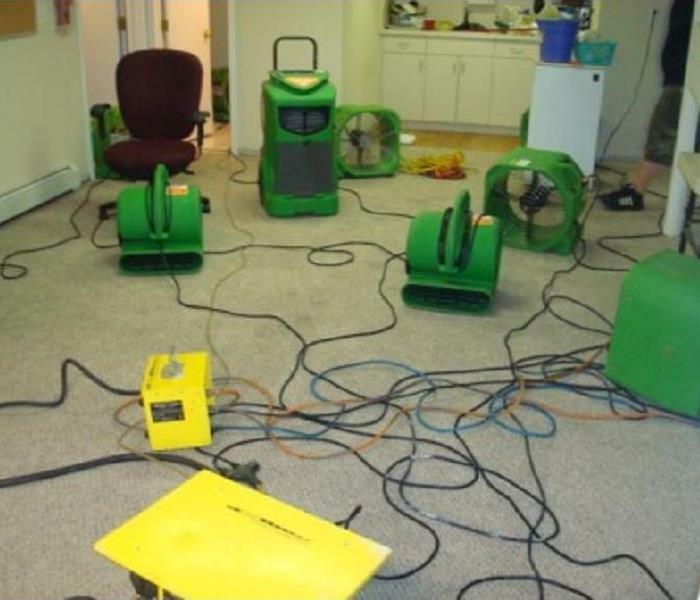 We've always got the right equipment for the job at SERVPRO of Bangor/Ellsworth. 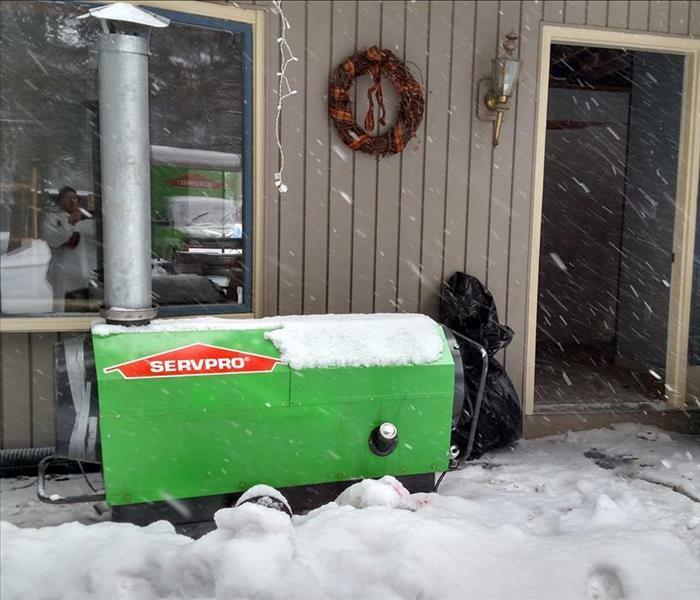 In the event of cold temperatures and frozen pipes, we can utilize equipment like this drying furnace to pump heat into a home and begin the thawing process. Whenever a major disaster strikes - such as a hurricane - SERVPRO is able to respond unlike any other restoration company in the country. This particular photo was taken in the New York/New Jersey area during when we were part of the Storm Team sent to the area. The final step with most fire jobs is to apply an odor sealant to the affected area. Once the smoke and soot have been cleared, removed and cleaned, a specialized primer is applied to the affected areas to encapsulate and seal in odors. Commercial fire suppression systems are designed to quickly and efficiently extinguish fires. For facilities such as aircraft hangars, large amounts of suppression foam is sprayed into the area, spreading rapidly and extinguishing the fire. Fortunately, the system we encountered did it's job well. Unfortunately, it was triggered when there wasn't a fire...and subsequently filled the structure with foam! While hot water baseboard systems can be be great for heating a home, they do come with potential risks. If the water ends up freezing, the pipes can burst...and since these pipes are run all throughout the house, it can lead to significant water damage. 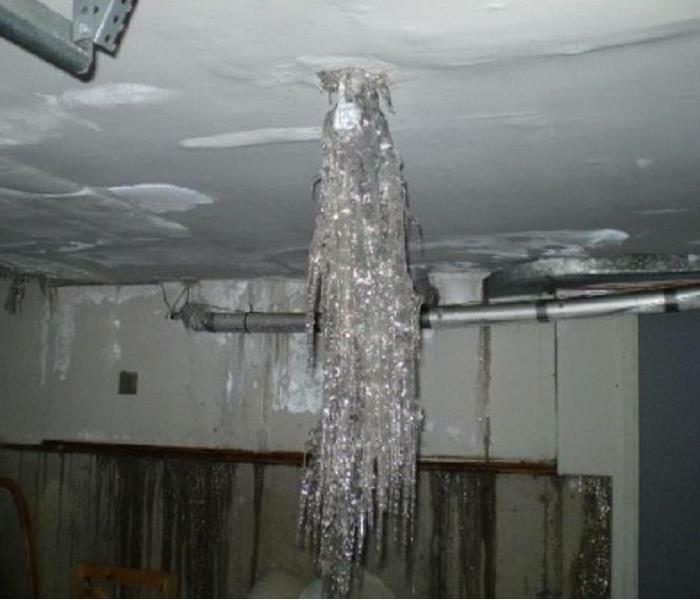 Damaged pipes can quickly cause large amounts of water to flow into areas where you typically wouldn't want water. It does not take long for large areas across multiple rooms to become saturated. In cases such as this, it is imperative to extract the water and begin the drying process as quickly as possible. Pigeon Infestation - We'll Clean Almost Any Mess! 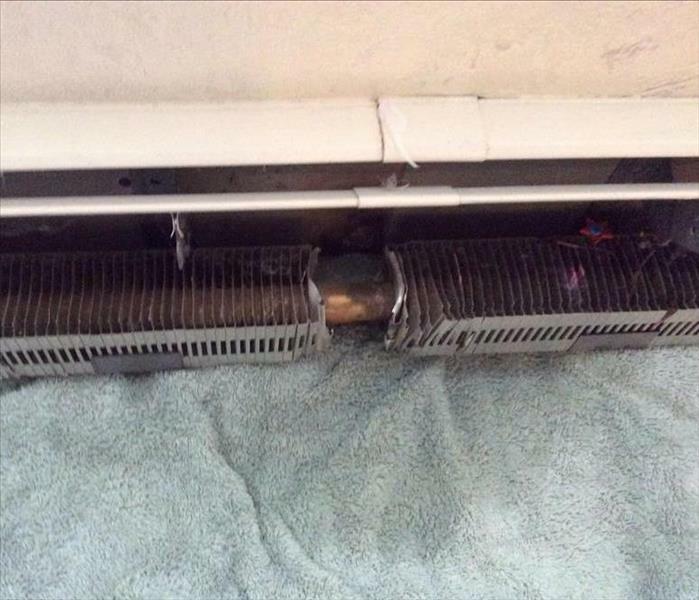 A Bangor-area university was having issues with pigeons nesting inside of the vents for an air evacuation system. Unfortunately, they were making a rather sizable mess and creating an unsanitary environment for the ventilation system as a whole. Although it's not something we normally tackle, we were able to rectify the situation in short order! 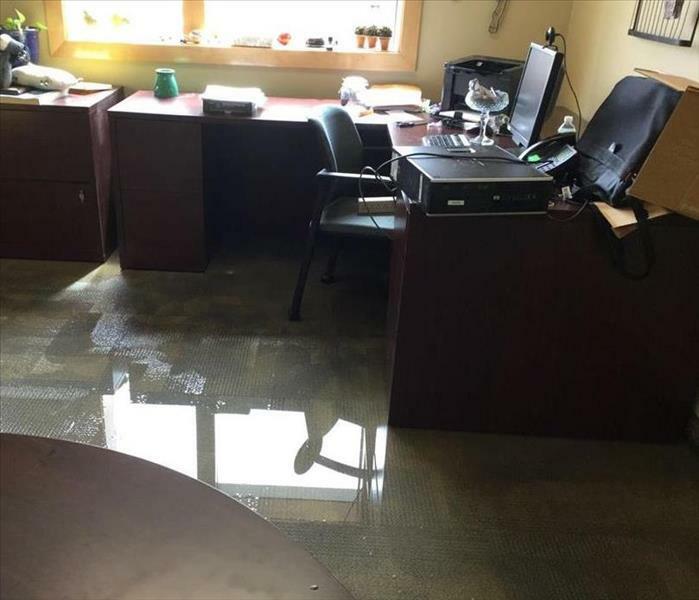 This office - and a large portion of the building in question - suffered significant flooding after the water main broke, causing hundreds of gallons of water to pour into the building. Once the pipe was repaired, our crew was able to move in, extract the water and dry everything out! 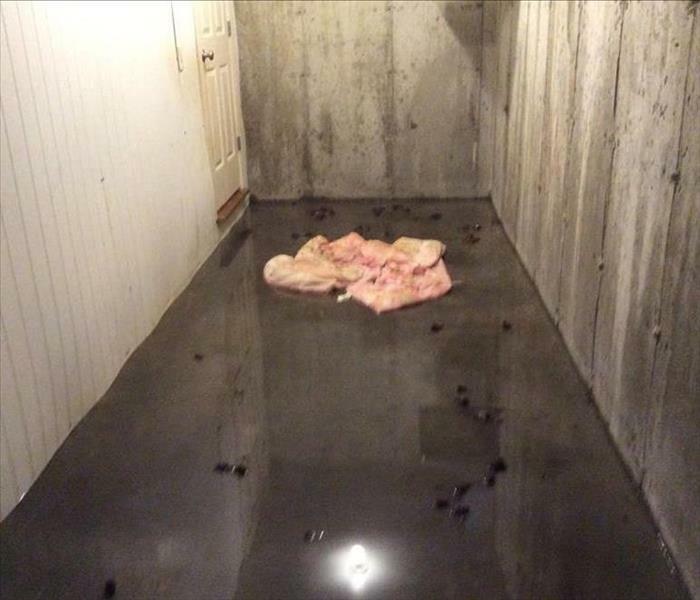 Finding unexpected water in your basement can be extremely stressful. It can rapidly cause damage to the structure of your home...but, it can also have unexpected effects on any equipment in the affected area, as well. This particular mold growth was discovered when we arrived on site for an entire different reason. 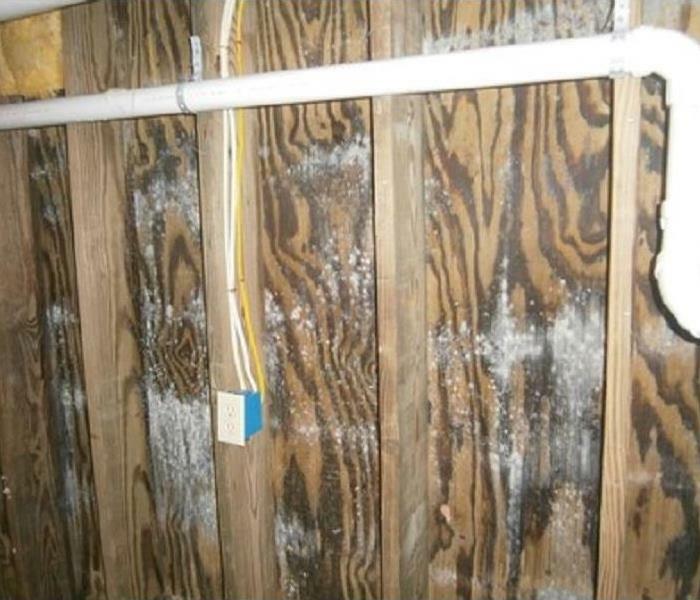 Basements can provide the perfect environment for mold growth, especially if they're not properly sealed and finished. 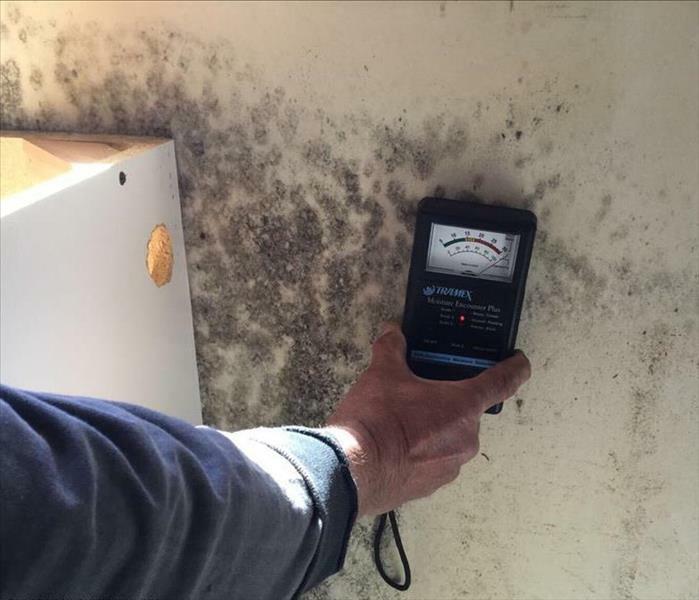 After recently assessing some water damage in a Bangor-area home, mold growth was discovered. It does not take long - especially in the summer months - for mold growth to begin after a water loss occurs. Our crews were once again called to help support restoration efforts in the aftermath of Hurricane Sandy. We found extensive water damage in a number of homes, but were able to properly dry everything out and get them ready for reconstruction. Hurricane Sandy did more than just bring heavy wind and rainfall; the storm caused significant flooding throughout the affected area. 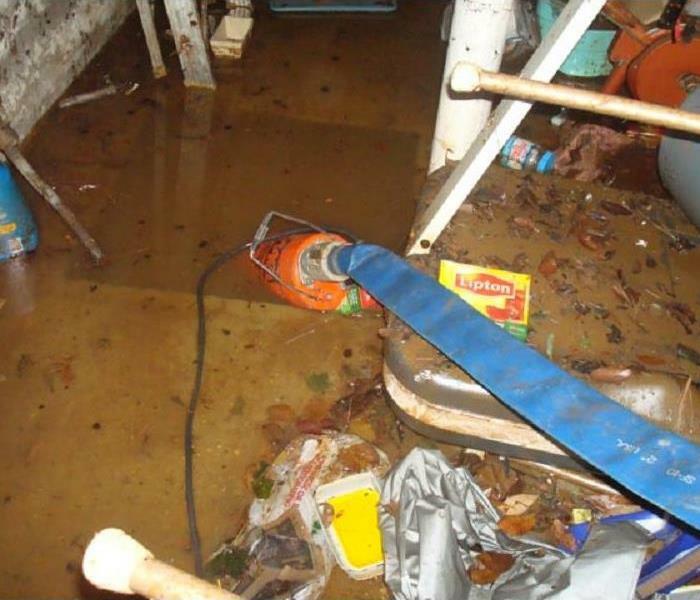 Fortunately, our crews are well-equipped and capable of removing virtually any amount of water out of a basement! Our crews were once again called upon to support in the cleanup efforts after a large storm even struck New Jersey. We went to great efforts in order to ensure this particular facility was properly restored and ready to reopen for business. Our crews have been called upon to help support other areas during major storm events on a number of occasions. This particular storm brought our crews to New Hampshire, where we helped extract water and dry out a number of affected homes. Mold spores are always present; they simply require the correct set of conditions in order to grow. As long as moisture and warmth are present, a mold problem can crop up...even in the cleanest, most well-kept homes. 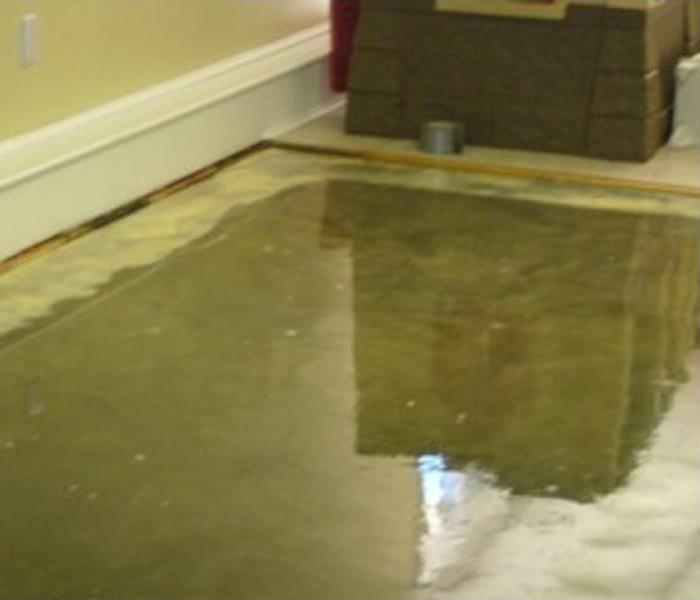 During the process of drying an affected area after a water loss, we will often seal off a room for a number of reasons. It not only means the rest of the building is more-or-less usable, but it ensures "unauthorized personnel" stay out of the affected area. Most importantly, it helps create the best possible drying environment, speeding up the entire process. It is extremely important to ensure water damage is mitigated in a timely manner; if it is allowed to sit too long, it can create a breeding ground for mold. Fortunately, our expert crews are equipped to take care of any eventuality like this! Fires can be very complicated jobs, especially when they're located in a complex. In many cases, they require a significant amount of tearout, while simultaneously providing water restorations services due to the water utilized to extinguish the fire. A god portion of the Passadumkeag-area unit had to be gutted in order to ensure the smoke and soot damage was properly mitigated. The final step of any mold remediation job is to seal the affected areas, ensuring the mold is appropriately contained and mitigated. 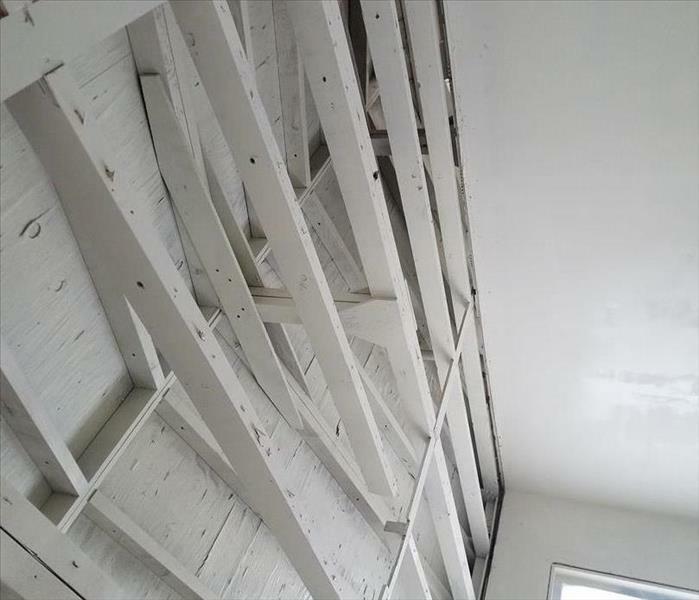 For this, we use our EnviroSHIELD™ 90; it is a white blockout coating, water-based 100% acrylic, multi-purpose coating for use on surfaces such as wood, wood composites, gypsum, wallboard, ceiling tile, concrete, brick and painted surfaces. EnviroSHIELD™ 90 provides a tough and flexible white coating that has long term adhesion eliminating any future blistering, peeling, cracking or chipping off the surface. 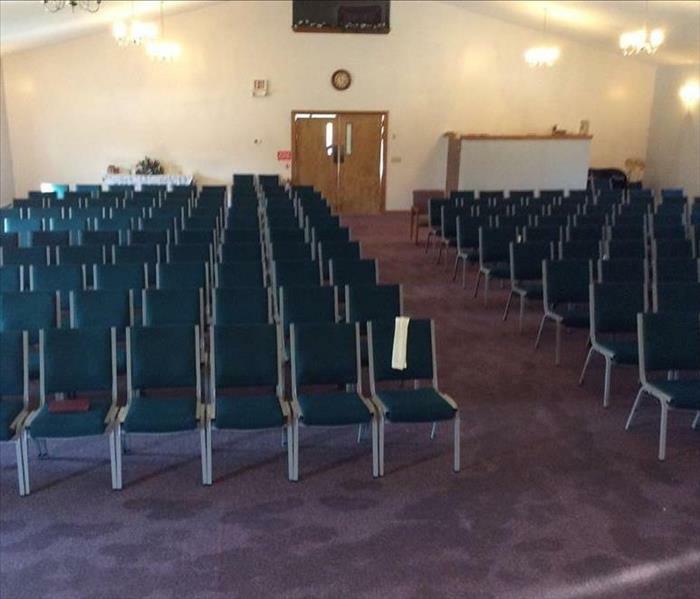 The carpets in this Bucksport-area church were quite saturated by the time the water leak had been corrected. While we were able to remove the water and dry out the flooring, the carpet had to be removed. Unfortunately, not everything can be saved after a water loss of this severity. This Bucksport-area church suffered a major water loss over the winter when pipes related to the heating system froze - and subsequently burst. Water ran throughout the building for a number of days, causing extensive damage. Fortunately, our crew was able to extract the water and dry out the building! After extracting the water from a large water loss in a Bangor-area restaurant facility, we set up a number of air movers to help facilitate the drying process. This is just one of the many pieces of equipment we use to make disasters "Like it ever even happened." 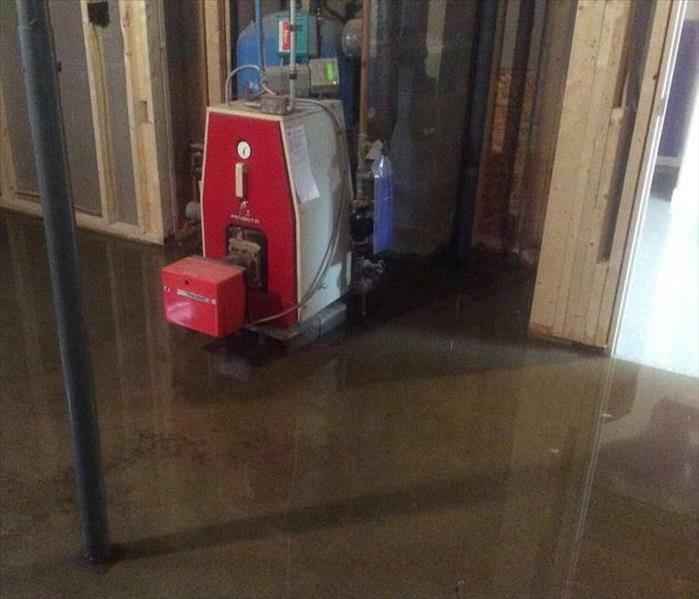 This Bangor-area hotel experienced some plumbing issues, resulting in a sizable water loss that required shutting down an entire floor to rectify. Fortunately, our crew was able to efficiently extract the water and dry the area out, resulting in minimal downtime. Fires - They're Not Just Started by Cigarettes or Heaters! As the owners of this Sedgwick home discovered, it isn't always the standard culprits that can cause a fire. 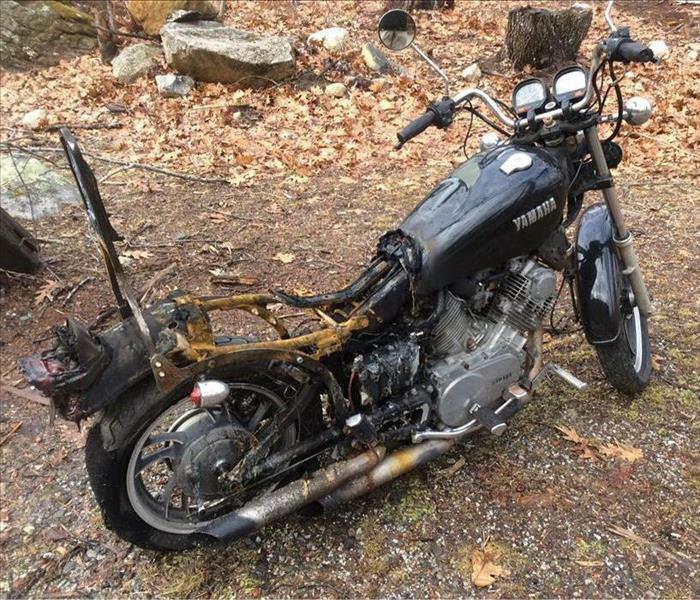 In this particular case, a motorcyle - of all things - ignited and started a fire in a storage shed. With some effort, we were able to clean the soot and remove the smell! 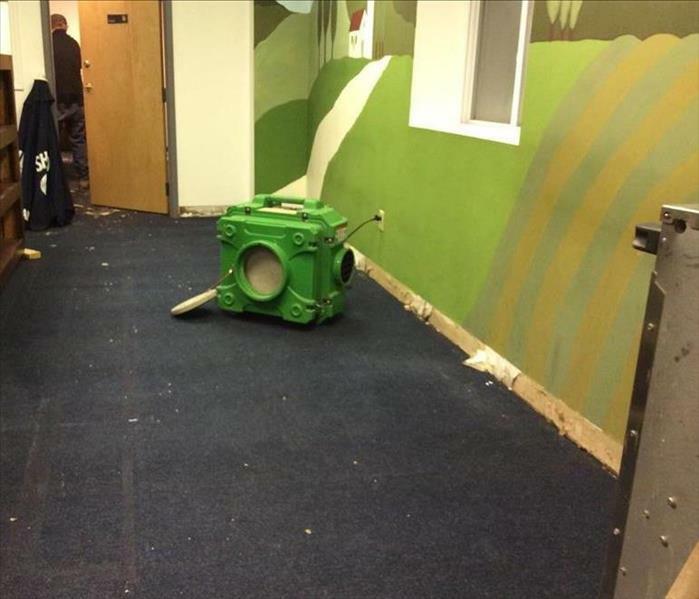 It doesn't take long for an incredible amount of water to flow into a room when a water pipe breaks. The owners of this Ellsworth-area home found out the hard way...but, we were able to quickly get on site and extract the water. 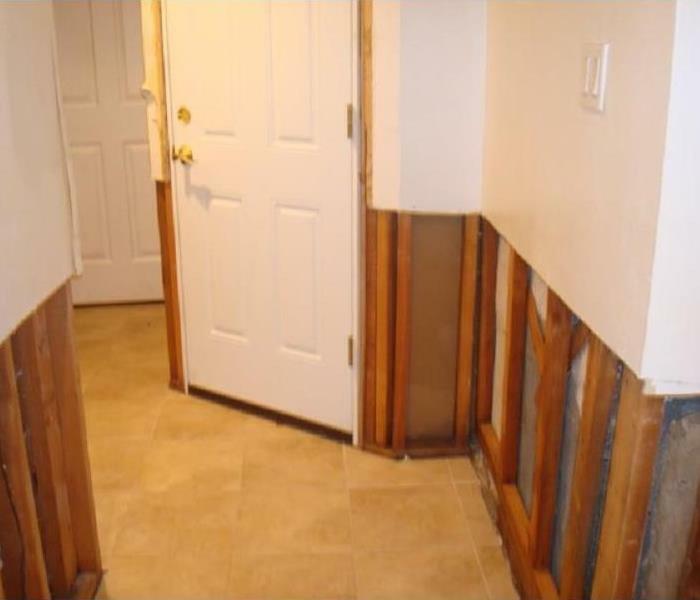 If left unresolved, water damage can easily provide the perfect environment for mold growth. 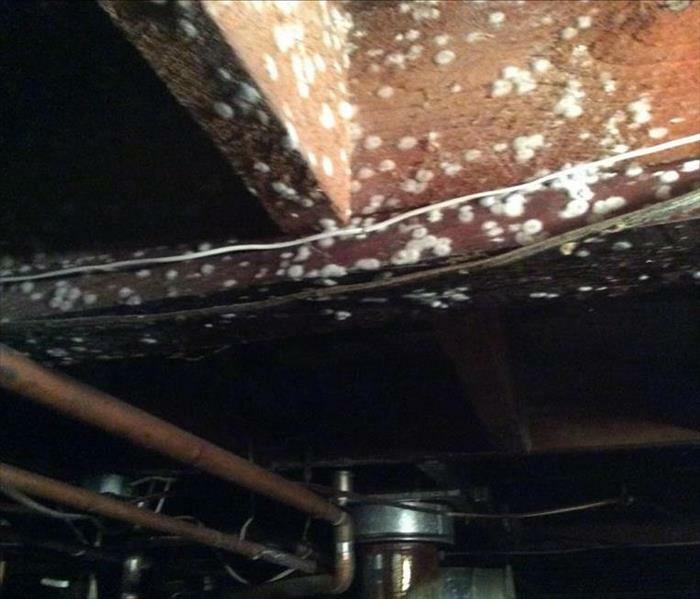 Mold problems like this can be mitigated with the right expertise and equipment. 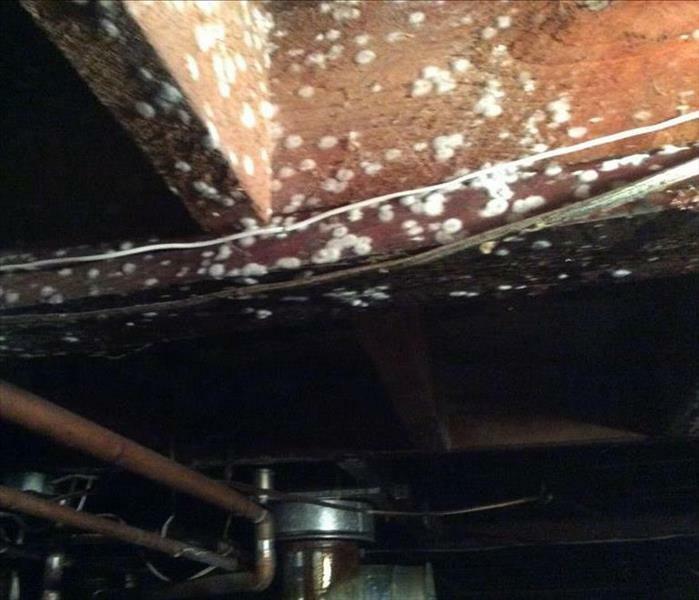 SERVPRO of Bangor/Ellsworth has trained technicians that were able to test and remove the mold growth, and then restore the space to preloss conditions. After every fire job, we use our EnviroSHIELD™ Odor & Stain Blocker. It permanently coats and seals in tough, deeply embedded smoke odors from fire damage surfaces. It is a water-based primer, sealer or finish coat developed with new advanced LEED compliant technology. It is formulated to perform like a solvent or oil-based sealer without the harsh fumes. It can be used as a finish coat after cleaning to seal and fully restore finished interior painted surfaces. Odor & Stain Blocker can be used as a primer for top-coating with both latex and oil-based paints. It applies white and dries to a nongloss white. This was the aftermath of a garage fire when we arrived on the scene. There was significant smoke and soot damage. The owner couldn't believe how quickly and completely we were able to clean the soot from the walls and ceiling. We make disasters "Like it never even happened." No one expects a house fire, but they can easily catch anyone by surprise. When taking care of something as basic as ashes from a wood or pellet stove, it's best to ensure they're kept in a fireproof container, away from any combustible material. Unfortunately for this homeowner, this plastic bucket was not fireproof...which resulted in a sizable fire, damaging a good portion of their house. We use equipment like this every single day to service our customers and make it "Like it never even happened." Our equipment is efficient and portable, which enables us to work in virtually any conditions. This Disaster Recovery Team truck was utilized at a large fire loss in Dexter. SERVPRO of Bangor/Ellsworth coordinated with the Large Loss team to ensure everything was operation as quickly as possible. With the ability to mobilize local command centers, no disaster is too big. 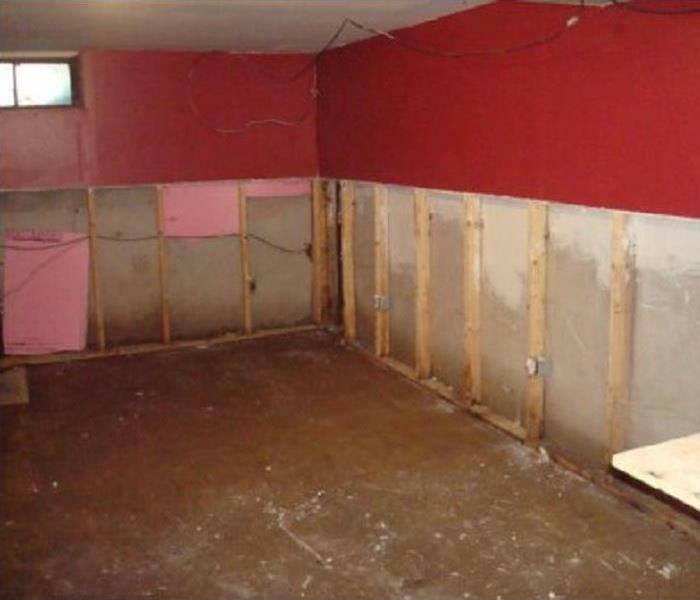 This was the aftermath of a water damage in the middle of a particularly cold winter. Despite the unbelievable amount of ice built up within the building, we were able to quickly thaw the ice and remove the water. Our Box Trucks; Loaded Up and Ready to Roll! Our fleet of trucks are always ready to hit the road to the next job. Having the right equipment for the job is absolutely key; nothing is ultimately more important than the transportation used to haul everything to the site. 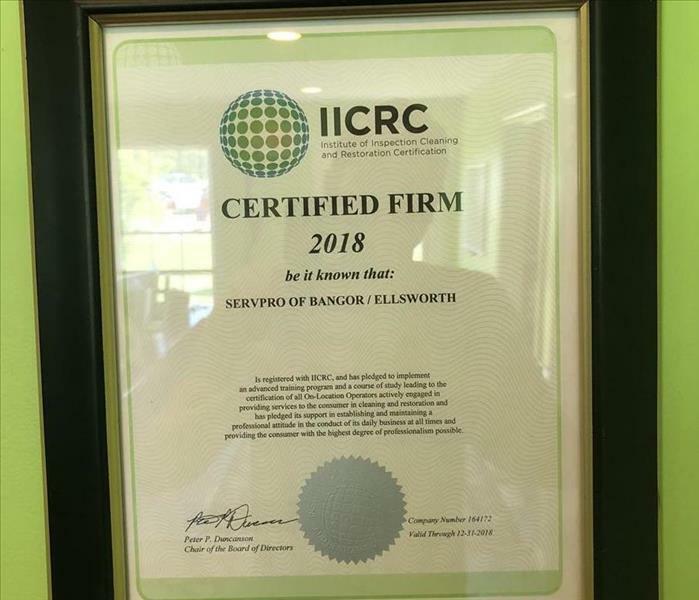 SERVPRO of Bangor/Ellsworth is an Institute of Inspection Cleaning and Restoration Certification (IICRC) Certified and Registered franchise. The IICRC certifies and sets the standards for the cleaning and restoration industries. Our team studies IICRC standards and best practices in water restoration, fire restoration, mold remediation, carpet and upholstery cleaning, and other cleaning and restoration courses.